Home Domestic News Championship Who Will Replace Lewis Grabban? Who Will Replace Lewis Grabban? 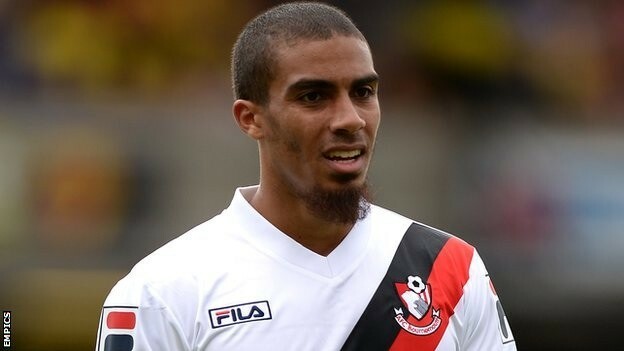 Yesterday Evening, Bournemouth accepted a bid from Cardiff City for Lewis Grabban. The in-form striker was the fourth highest goalscorer in the Championship last season, with 22 goals. Cardiff met the fee of £3 million which triggered a release clause in his contract. Grabban will add pace and neat footwork to the Bluebird’s front line, and could form a lethal partnership with a physical presence such as Kenwyne Jones. Grabban will leave Bournemouth knowing that both parties will be satisfied. Although his tireless running and partnership with Yann Kermorgant will be missed by the Cherries, it has to be remembered that Grabban could have left in January for £2 million less. Brighton were the interested party at that time, but Eddie Howe managed to negotiate a new contract with Grabban for a higher release clause. Lewis’ departure leaves Bournemouth with 3 first team strikers: Yann Kermorgant, Tokelo Rantie, and Brett Pitman. Although there is hope that a partnership between Kermorgant and Rantie will be fruitful, there could be some setbacks. Rantie has struggled to adapt to the English game since arriving from Malmö last summer, but there is hope that with a pre season under his belt, he will come back a changed player. Although Kermorgant has certainly had a better time in a Cherrie’s shirt than Rantie, he has been the victim of injuries in the past, and at the aged of 32, he may need to be rested. Brett Pitman has proved his limitations in the Championship, so it would be expected that Eddie Howe would have 2 Strikers lined up to add competition for places up front. 3 names that have got Cherries fans excited are Terrence Boyd, Frederico Macheda and Britt Assombalonga. The latter has enjoyed an unbelievable season for Peterborough, scoring 24 goals in their push for the play offs. He has the right technical ability that would add to the squad, while also adding, pace, power and a physical presence. The move could also play into Bournemouth’s hands, as they could use out of favour Josh McQuoid as bait. Frederico Macheda has endured a difficult period in his career. After bursting onto the scene for Manchester United, he has struggled to reproduce that form and loan spells have hindered his rise. However, after a sustained spell of form at Birmingham City, Macheda has found a level at which he can demonstrate his skill. Although he does not have the power of Assombalonga, his skill and finishing are of the highest quality. A season-long loan would be perfect for the Cherries. Rapid Wien striker Terrence Boyd has the credentials to make it in England. Tall, strong and athletic, the forward is a physical presence and is also blessed with pace. The USA international is a young talent, and would be a perfect fit for AFC Bournemouth. He could easily fill in for both striking roles, as he has the physical attributes of Kermorgant, balanced with the pace and athleticism of Rantie. The only stumbling block would be price, as Wien may ask for money that Bournemouth simply don’t have. Overall, while Grabban fitted perfectly with Eddie Howe’s tactics, he is not irreplaceable. Bournemouth will recycle the money well, as Howe is one of the best at finding young talent. 2 Strikers to complement the 2 already at Dean Court would be perfect competition for them. This would also compliment young talent coming through, such as Jayden Stockley and Josh O’Hanlon. Steve Gerrard retires from International Football! Who was your favourite referee of last season?